My first wrap-up post of 2018 combines the months of January, February and March. I didn’t read that many books in January but I am happy with what I read in February. I wasn’t able to read any books in March. I have a lot more free time in April, so I hope to make up for it. One of my favourite reads was Sightwitch by Susan Dennard, which is no surprise. This book is part of one of my favourite fantasy series and I was 99.9% sure I was going to love it! 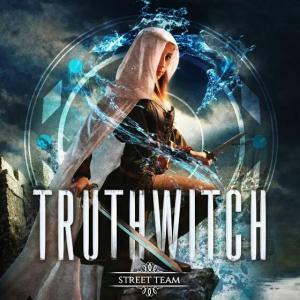 Sightwitch is an illustrated prequel novella, the next in Dennard’s Witchlands series, and is set one year before Truthwitch. Made up of journal entries, sketches and more, this is one of the most creative books I’ve ever read. The main POV is Ryber Fortiza, who we met in the previous books, and I absolutely loved learning more about her. We also got to see Kullen Ikray and Eridysi, a Sighwitch Sister who lived a 1000 years ago. Reading about Eridysi makes me want an entire book (or series!) about her. The world-building, the history and the character development was all phenomenal. Don’t miss out on this incredible, new release from Susan Dennard. If you haven’t read the series yet, definitely pick up Truthwitch. Happy New Year! I have not posted in such a long time, I am so sorry! I was in a bit of a blogging slump which turned into a reading slump, but I’m hoping to make up for it in January. I only read four books in the last couple months, so I’m a bit disappointed. I wanted to at least reach my goal of 75 books. On the plus side, none of the books I did read were bad. My favourite one was Tiny Pretty Things by Sona Charaipotra and Dhonielle Clayton. I’d heard good things about this book, but I was not prepared for how incredible it is! TPT switches between the POV’s of three dancers, who all attend a very competitive Manhattan ballet school and who all want the number one spot. Angst and drama, romance and revenge, this book has it all. The ending was also incredible and totally unexpected. Pretty Little Liars meets Dance Moms. TW: Eating disorder, addiction, harassment. My reading goals for 2018 are really simple: focus on books I own, backlist titles and 2018 debuts & sequels. I hate having regrets about my reading choices, so I’m only picking up titles that completely catch my interest. The only challenge I’ll be doing (at this point) is reading some of the books on the 2018 Canada Reads Longlist. I’d love to hear about your 2018 reading goals! The Language of Thorns by Leigh Bardugo – This anthology of six fairytale-like illustrated stories set in the Grishaverse is absolutely stunning! I’ve only read Shadow and Bone and I didn’t feel like you needed to read every Grisha book to understand this one. My favourite story was Little Knife, mainly because the ending truly wowed me. The illustrations were gorgeous and really made the book. This is also a short read, so it’s a great book to add to your reading challenge. Ghost by Jason Reynolds – This is the first MG book in the author’s Track series and OH MY GOD it was amazing! I listened to the audiobook, read by Guy Lockard, and both the writing and the narrator were incredible. I don’t think I have ever read a book that actually made me want to run (something I hated in public and high school). I never wanted this book to end, it was so good. I can’t wait to finish Patina, the next book in the Track series and to read Sunny, the 3rd book in the series. Of Fire and Stars – this is a standalone YA fantasy novel by Audrey Coulthurst with an f/f romance. I absolutely loved this one! I liked that even though the main characters, Denna and Mare were very different, I didn’t favour one over the other. Sometimes with books, there’s that one character I really admire over the others, that one character I look up to or really want to be. With Denna and Mare, I honestly couldn’t choose who I liked more – they were both incredible protagonists. Flying Lessons and Other Stories – this is a middle-grade anthology edited by Ellen Oh and I think it was my first ever anthology. Most of the stories were four or five stars for me, so if you’re looking to get into middle-grade, this is a great way of finding authors and seeing what writing styles you like/dislike. See You in the Cosmos – this MG debut by Jack Cheng was unlike anything I’ve ever read! The protagonist, Alex is a really smart but naive kid who wants to send his iPod into space so that aliens can see, or rather hear what life on earth is like. An interesting aspect of this novel, the author has turned the recordings into transcripts, so it’s like the reader is the one who received them. Dialogue would either be Alex repeating or summarizing what someone said, or someone(s) talking as Alex is recording (like a script). If Alex didn’t record something, we didn’t hear about it. Whether or not you’re a big MG reader, this is definitely not a book you want to miss out on! I’m finally blogging about what I read in May! I don’t think “a little late” even begins to cover it because this is basically when I’d be posting my June wrap up 😅 Anyways, May was a fantastic month; I read 9 books in total. 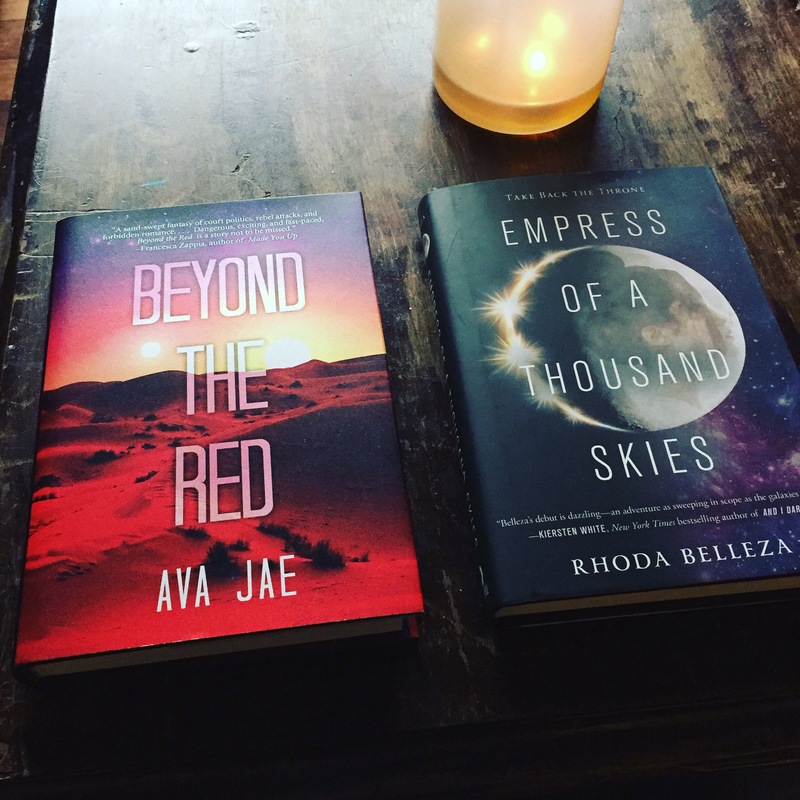 My favourite reads were Empress of a Thousand Skies by Rhoda Belleza and American Street by Ibi Zoboi. Both were impressive debuts and I can’t wait to read the authors’ next works. The first is an action-packed space opera with a diverse cast of characters and the latter is about a teen girl’s experience as a Haitian immigrant in America. American Street has absolutely captivating characters and Zoboi is a gifted storyteller. I would 100% recommend both books, they’re sure to top your favourite reads of the year!